High spec product, 50% more plants per panel. Premium quality and great value for money. 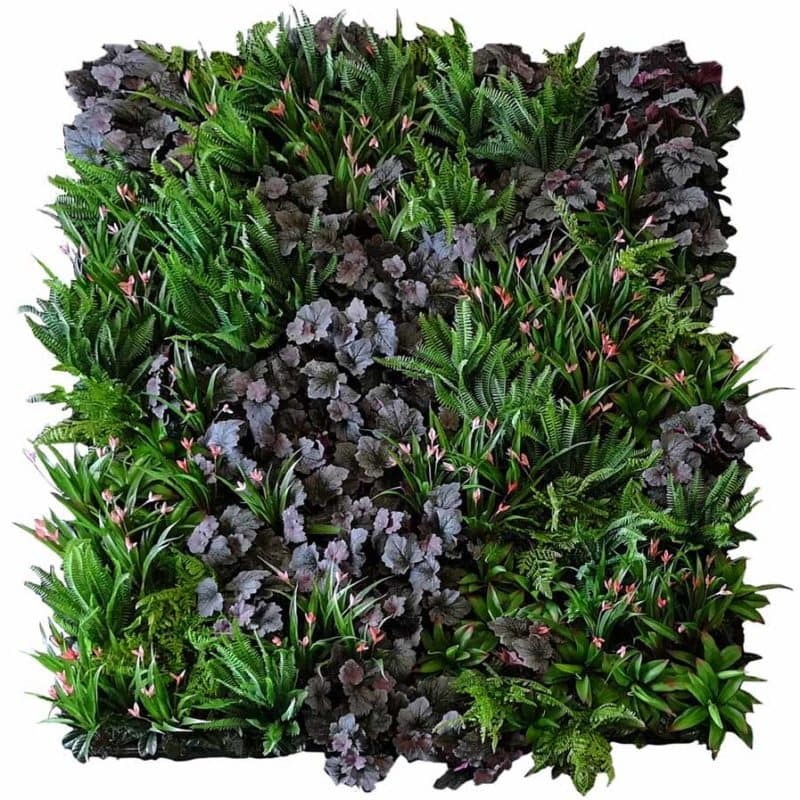 These plant wall panels are perfect for creating a lush green ambience in bars, cafes, restaurants and retail outlets. They also make attractive green backdrops for events, exhibitions, weddings and company logos. 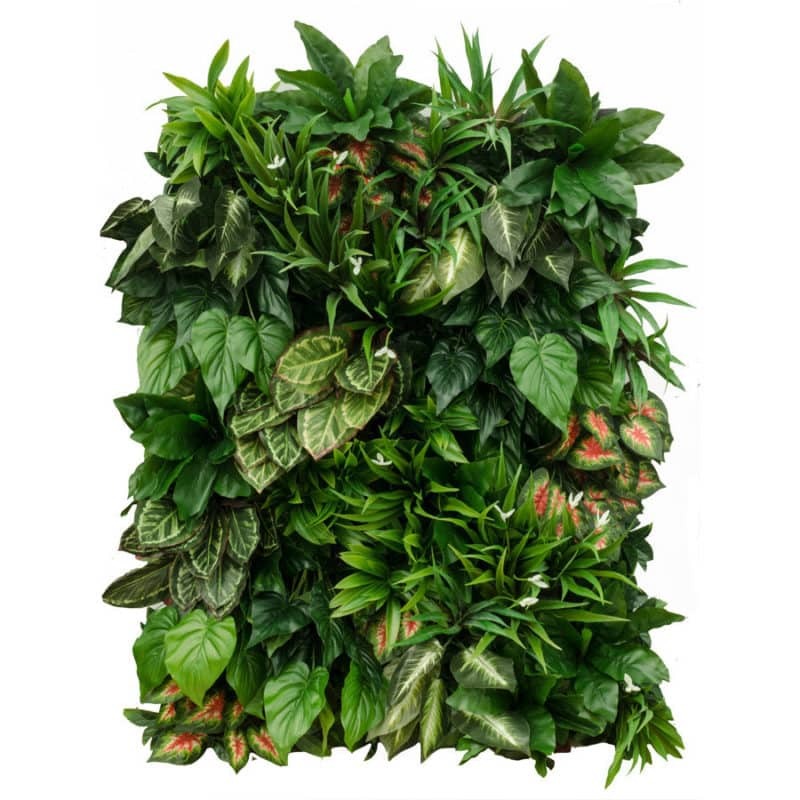 Each panel has 25 plants on a dense foliage background. The plants can be detached and rearranged for variety and to avoid repetition on large areas. The are very versatile and can be fitted to any surface – flat or curved and can be cut to any shape. They are UV stabilised and will last for years on exterior walls. The panels are easily installed. Just screw them on to most surfaces. Should they ever need cleaning, just hose down while using a soft brush. Visit our customer gallery to see the many ways they’ve been used.